Brother Lyric D. Cosby, Co-Outreach Coordinator for Living Word Church Ministries. A native of Atlanta is a proud Veteran of the United States Air Force. An alumnus of Valdosta State and Kennesaw State University, respectively holding a Dual Bachelor of Science in Human Services and Psychology and currently pursuing a Master of Science of in Management & Leadership from Western Governors University. Currently Lyric is the Community Support Director for Clayton County Government since September 2017. Prior to that, his career was with the GA Division of Family & Children Services (DFCS) for 15 years. 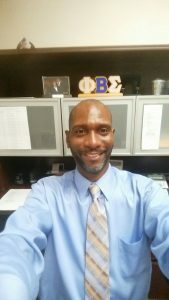 Lyric is a proud father of two sons, a Life Member of Phi Beta Sigma Fraternity, Inc. where he has held positions in Region/State/Chapter and still holds several positions on both Regional and National Committees.